This section will explain in great detail how the Greed and Fear indicator has performed over time. 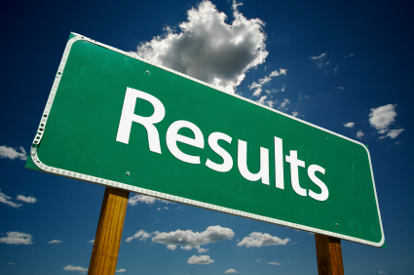 As you will find, results are measured in index points. The actual cash result depends on which financial instrument was used. Available soon: actual and verified trading results with autotrading. Here you will find a detailed list with every daily indicator market call and how that ends up in an overal result compared to the benchmark S&P 500 for the year 2016. Here you will find a detailed list with every daily indicator market call and how that ends up in an overal result compared to the benchmark S&P 500 for the year 2014. The first quarter of 2012 we saw a very strong bull run in major indexes. As the performance chart shows, the Greed and Fear indicator could not keep up. On a few occasions when the S&P 500 seemed to top out, the indicator went short, but contrary to expectations at that point, the S&P 500 was able to recover very quickly. Luckily the indicator did not hold on to its opinion too long, but the gap with the benchmark widened. After the first full year of trading signals, the Greed and Fear indicator now enters the next, the year 2012. Let's see how things work out this year. If all went well, the indicator has become a better analyst than it was a year ago. The software has the ability to learn from past market behavior. For a more indepth explanation about how the results are calculated, there's more: How do the daily signals add up? How do the daily signals add up? How do the daily signals add up? This article describes how the performance of the daily Greed and Fear indicator will be measured. This result will give an impression of how useful this indicator might be for daily trading activities. But as always, past performance is not indicative of future results. The year 2011 has been the first full calendar year for the Greed and Fear indicator to proof how well it performs against the S&P 500. The Greed and Fear indicator really started at the end of September 2010. From there on the direction of the indicator was released on a daily basis. The Greed and Fear indicator had its first appearance on this website in late September 2010. Previous to that, I have been working on the software that produces the indicator signals. Every new version of the software was tested by 'replaying' history, starting on 1-1-2009, going forward to 'now'.